A friend of mine has a great start-up company which I was happy to help him with. 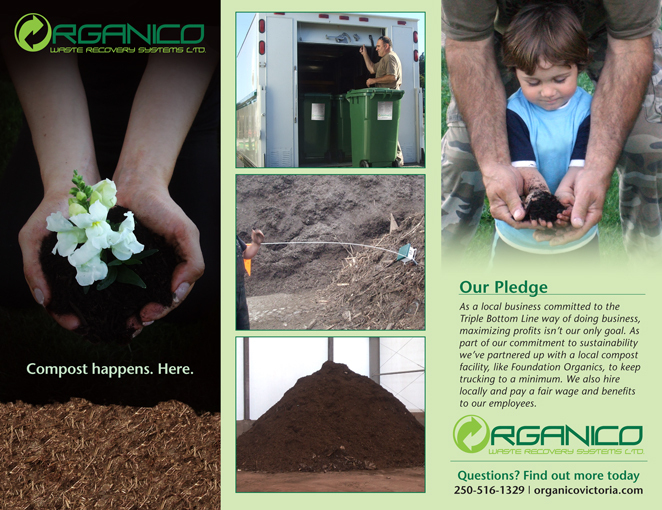 The company is a new organic waste collection company called OrganiCo Waste Recovery Systems. 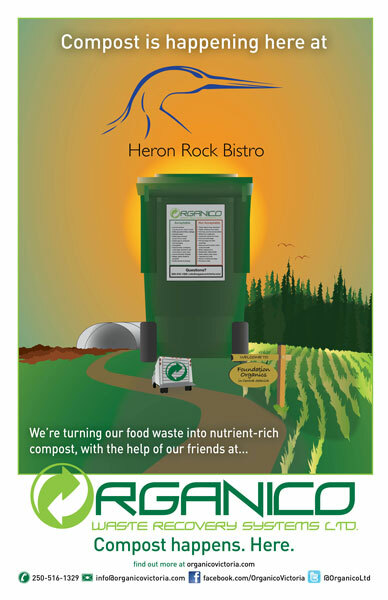 The company collects the organic recyclable materials from a business and re-purposes it for local use as fertile, nutrient rich compost with a partner company, Foundation Organics. I put together a tri-fold pamphlet, some decals and some business cards for Vitto’s new venture. The irony that Vitto is Italian and now has a waste management company is not lost him by the way. He saw a need and has a green streak and thought there was a niche filled it. Sorry for the hyperbole but he’s a friend and I am proud of him and am happy to get the word out on such a great idea. Anyhow, You can support this excellent venture by just having a meal at some great places in Victoria including the Fernwood Inn and BigWheel Burger. 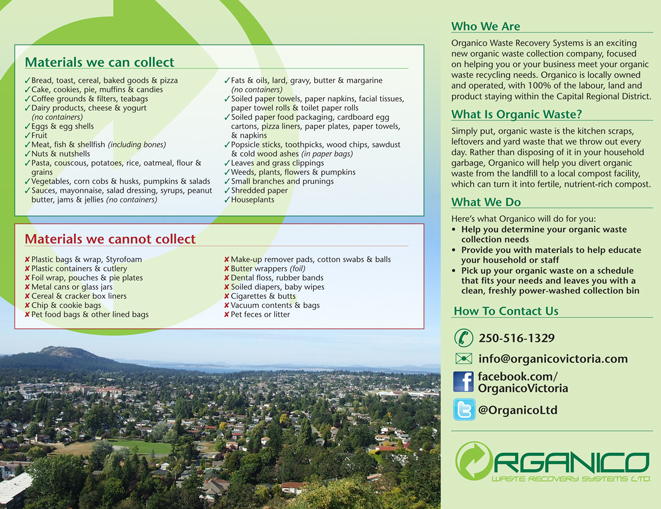 They recently provided organic recycling services for the Greater Victoria DragonBoat Festival and bins for Pepper’s grocery stores. I am currently working on decals for their vehicles and some design for some clothing so here is hoping 2013 is going to be a great year for OrganiCo Waste Recovery Systems. Here is a look at some of the materials I have put together for OrganiCo.